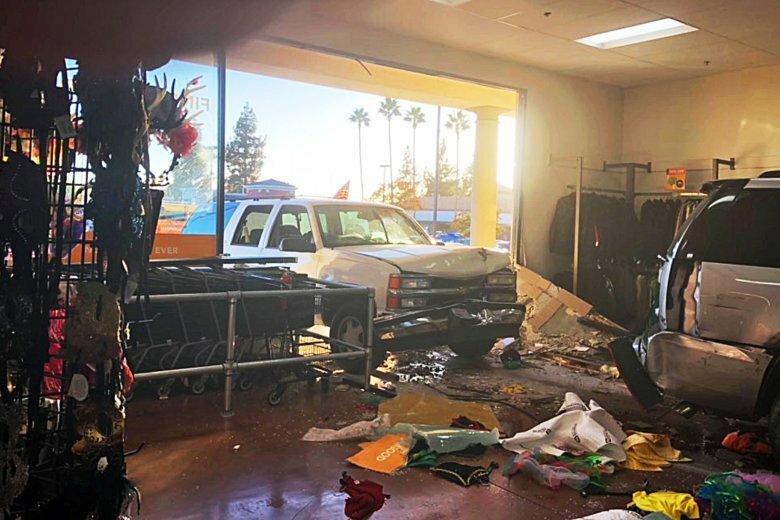 PLACENTIA, Calif. (AP) — Authorities say two sport utility vehicles have plowed into a Goodwill store in Southern California, injuring five people. Orange County fire Capt. Tony Bommarito says an 88-year-old woman rear-ended a parked car shortly after 4 p.m. Tuesday in Placentia, pushing the SUV all the way into the store. The woman’s SUV wound up partially inside. The woman was taken to the hospital with a trauma injury, but she’s expected to survive. Bommarito says a 14-year-old boy in the SUV that was struck and three women inside the store — two shoppers and an employee — were treated for minor injuries.